Arthritis is the leading cause of disability among adults in the US and by conservative estimates, affects about 54 million adults (according to the Arthritis Foundation). Arthritis primarily occurs in older individuals, but certain types are diagnosed in children, teens, and young adults. Athletes and people working certain occupations may also be prone to developing arthritis. It is important to visit an orthopedic specialist to determine what type of arthritis is affecting your joints along with planning your treatments. Today, there are new ways to help you feel better when you have arthritis, and with the proper types of therapy, you can avoid having a permanent disability. While some types of arthritis are a result of injury or aging, some varieties are caused by an infection or from having a weak immune system. In some cases, the human body creates antibodies against its own healthy components, leading to changes in the cartilage and bones of the body. 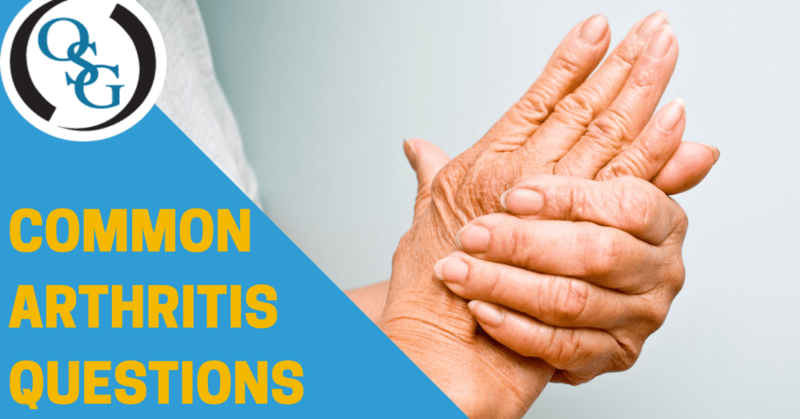 Experts have identified over 100 different types of arthritic conditions. The course of treatment depends on which form of arthritis a patient has. The main goal of arthritis treatment is to reduce pain while also preventing further damage to the joints. This may include heating pads or ice packs for pain relief, mobility assistance devices (like canes), medication, surgery, physical therapy — or a combination of these. Can Certain Lifestyle Changes Help People with Arthritis? Making healthy lifestyle choices can certainly help you live a long and healthy life, including reducing your risk of developing arthritis (or reducing symptoms if you have it). This includes maintaining a healthy weight and eating a healthy diet rich in antioxidants and other inflammation-reducing foods (like nuts and fish). Regular exercise also helps to keep your joints flexible — try incorporating swimming into your wellness routine as it doesn’t put as much pressure on your joints the way running and walking does. If you are experiencing joint pain, whether mild or severe, talk to a medical professional. Residents of southern Connecticut can depend on Orthopaedic Specialty Group to accurately diagnose and treat any ailments in their joints. Contact us today to schedule your appointment (203) 337-2600!